This is the top Galaxy S3 clone available now. Basically what this proceedure does is to use Android SDK and Android Kitchen to rip out your ROM, modify it and write it back into the phone. This bypasses the OS entirely so it doesn't matter if there are any exploits or not. NOT for the faint hearted! Camera is actually 5MP but interpolated do 8MP? You haven't mentioned anything about battery life. It would be awesome if you could do video rundown test. Screen on 50% brightness, Wifi on , looping video until it dies. That would give us a decent perspective on battery life. LCD seems rather nice but I still prefer H7100 (in this price range). How do those two (G9300 vs H7100) fare in regards to screen size/quality, performance and most importantly battery life? Camera is really 5mp interpolated to 8. Battery life so far, is good. Just got it yesterday so can't really tell in a short time. But it appears to be quite good. Able to last the whole day into the night with moderate use. The note 2 phones are nice too The H7100 is good for the money. It seems that the S7100/N7100+ has batteries less than 2800mAh. Seems like 2100mAh. I did not buy the H7100 so I can't tell. But the G9300 is really very good. If possible in the future that you are selling this phone please let me know. I might possible buy it from you. LoL, I wonder if you are going to do a goophone i5 N2 lite review? That would be super interesting. That would be me. Fastcardtech just emailed me to tell me that it is not 1gb ram. Maybe 512 or 768mb if I still want to proceed or change another phone So I told them OK to proceed. These stupid factories always send a good engineering sample then send the goods with something missing. 3rd time already. I ordered it like more than a week already and not shipped yet. I know they like to sell before receiving the stock and checking it. What?? goophone i5 N2 only 512mb??? I think there is also a goophone N2 a samsung galaxy note 2 clone. I wonder when it's coming out. Will find out when I get it. The Note 2 clone will have the quad core mtk6589. The one on YouTube is probably a sample with the old dual core. I think they will probably release 2 versions. Expect it in end March or April. I called the # and got a voicemail. left a message its been 5 days no call back. the live online chat most of the time doesnt work. but gave me an option to leave an email, I left 2 emails and I never heard back from them its been a week now. so i dont know what you are talking about that this Co. is great to deal with so far they are not responsive at all! No point in calling them unless you can speak perfect Chinese. Use your login account to leave a message and you will get a response. Forget about the number because you will not get a response unless you are a reseller with a 50 or 100 PCs phone order. I'm really torn between 4.5-4.7'' (Neo N02, HDC G9300) and 5.3''(HDC H7100) sizes. I'm leaning toward the larger screen so I can use it for reading (and ditch my tablet), but I'm sacrificing portability and LCD quality (and what else). It all boils down do size/design preference. The rest of the hardware seems to be more or less the same. @Lord SBM: please start commenting again. You're a valuable asset to these discussions. @Grey Tay: You're really lucky with customs, we (Europe) go through hell to import a phone. Very easy to import stuff into Singapore. I know having the Samsung logo on the phone is not good for importing into Europe. Hi Greg, thanks for the review, it was very useful. One more thing, its not very obvious if it supports 3G, because the info that you can find on fastcardtech.com is very confusing so are the answers from their techsupport... So what about the 3G and what is a camera like? I dont understand very well if it has 5mp or 8mp... Thanks! Of course it does support 3G. It has the usual Dual sim slots. One is WCDMA/gsm supporting 3g the other slot is gsm with 2g. Camera is 5mp using software to scale to 8mp. Question whats the difference between this phone and the HDC Galaxy S3 S9380 MTK6577 which seems to be cheaper but has the exact same specs as this one? The 9380 has FWVGA screen. 854x480 pixels. Nice review. Wondering how does the vibration of G9300 fair? Some S3 clones has it vibration only at the bottom part of the phone rather the entire phone and some clones vibration motor is weak and barely could feel anything. 85% on purchase of HDC Galaxy S3 G9300 after this video review. ps ; did u opt for free shipping ? if so how many days it took to reach in your hands. I used free shipping and it took 13 days to reach me in Singapore. It is more efficient because they used SingPost which is now one of the postal service in China. Could be longer to other countries. 17 days In United States Don't order it on Holidays: Christmas and New Years. That what happened on me. Chinese New Year coming up. Everyone will start to go back to their hometowns 4th week this month and 1st week next month. Chinese New Year (Spring Festival) starts on 10 Feb and lasts for 2 weeks. You know why I say The quad cores will be out in March and April. I should do an official post on this. i asked about this phone a couple of days back..
1. is this same as the phone you have at the moment? The UMI x1 looks more elegant and has better camera at real 8mp and much better real 720p video recording. The G9300 has a better feel and larger screen although both are IPS. The g9300 has a decent 5mp camera and not very good video recording. If you want good quality pics and video then I have to recommend the UMI. 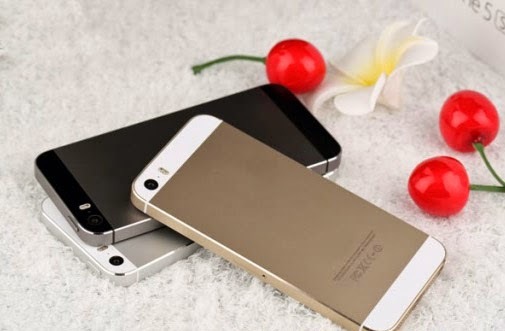 You can buy from Aliexpress and I think these should be the same phones but cannot be totally sure that it is the exact same thing because Chinese phones can have clones of clones. Unless I see that 9300+ under the battery then I can be sure. I just checked the pics and the factory screen protector is exactly identical. thank you greg "I officially LOVE YOU"
Any update for root the phone sir? has better specs that the HDC G9300. In what way she mentioned was the camera quality. Besides that , what else you think could be difference. You are correct. The B92m has better camera and video quality. But the build quality is better on the G9300. But the smoothness of the g9300 is far better. Both has good and bad points. If you want all good points then be prepared to pay a lot more for the real S3. Still unable to root. Will wait till it becomes more popular then someone from XDA or Russian forum might do it. Oh okay... thanks just keep us update. I really want to root this phone. Hello Greg, I'm a real newby when it comes to phones and my experience ordering phones online has been fairly disappointing thus far. I took a leap of faith today and used your link to order HDC GALAXY S3 G9300 CLONE. I'm looking forward to its arrival in Australia and I will give you an update of my experience ordering from a Chinese supplier and of the phone - albeit from a very amateurs perspective. I hope you read my article about ordering from Fastcardtech. Looking forward to your experience. To my surprise the phone arrived yesterday. I took it out of the box and observed sumsung emblems on the phone as requested. I put it on charge straight away and used it as my new phone today. My first impression thus far are mixed but I've only had the phone for 24hrs. On a positive note the phone arrived in a short time in fact I was surprised just how fast the phone took to be delivered to my address here in Australia (less than two weeks). After removing the phone from the box I was left wondering if there should be some sort of manual or at least instructions to get me started because the box didnt contain any. Upon placing the phone on charge a red light lit up on the front of the phone for about ten seconds and then went out. I waited over night for the phone to charge and in the morning observed there was nothing on the phone that indicated it was fully charged. As the red light had gone out after about ten seconds I was wondering if the phone had charged at all but after turning it on I could see it was fully charged but it would have been nice to have had some instructions for the charging process. I have limited experience using an andriod phone and initially found navigating the menu a little confusing however after a short time and a little help from my wife I found the phone quite easy to use. After a days use I found myself placing the phone on charge as soon as I got home as it was almost flat however I believe this is because I left the GPS function on all day and the screen setting was set on bright. Whilst navigating through the phone I found the touch screen was easy to use and vibrant to look at. At this point I don't have much more to add as I was quite busy at work and did'nt get a chance to play with it much. I will use it for a couple of weeks and get a couple of people who own the real thing to look it over and see what they think and will update my experience then. Thank you for posting your experiences. I am sure it will help a lot of readers out there. Hi! How is the ROM situation like for these clones? Since the phones are largely identical (same chipset etc.) hardware-wise, is it true that one ROM that works for one MTK phone would most probably be alright for another MTK phone as well? I think this should be a good first fastcardtech purchase for me but I don't really like Touchwiz, so if it is possible to flash an AOSP, Nexus like ROM it'd be great. Not a dealbreaker though, the hardware seems impressive enough. All phone ROMs are different. You can't use another phone's ROM for a different phone. The phone will be bricked. Usually some developer rips out the ROM and modifies it then you can flash it back. You can check the Russian forums or the Spanish forum. There are some developers cooking ROMs there. Thanks for the clarification Greg... had that impression because I think there was one phone on fastcardtech which could be flashed with ROMs from Zopo - apparently reasonably clean (vanilla Android + a few common apps). Not about to spring for an actual Zopo because it would be a lot more expensive than a typical clone. Any idea if one of those cheap clip-on back covers would fit OK on this HDC? Will not fit. The Zopo clone comes with a back cover and front flap. Thanks Greg for the video review. Re: what u mentioned about rooting -- that means even if i opt for rooted option when ordering they cant do it for me right? I think they may be able to root for you because they have contact with the factory. But then maybe not but no harm paying $3 for it right?. If you get the rooted ROM, you can make a backup and share it with all of us. The first note 2 clone 9300+ or hero 9300+ or hdc note 2 qhd are the same clones as the zopo so you can flash the zopo rROM. Other note 2 clones will be bricked if you do this. Actually the HDC Galaxy note 2 EX is the best of all still but it still does not have Jelly Bean. Thanks Greg - the Note 2 clones don't have the S-Pen type of application do they? The Note2s all don't have any other application besides the stock android ones. S-pen is developed by Samsung and requires a Wacom stylus. So even if you have the application it won't work because you don't have the s-pen. The screen digitizer has additional circuitry for this s-pen to work. So even if you port the Samsung app and have the original s-pen, it still would not work. I think the new jelly bean for these mtk6577 phones does not include the compass driver. Anyway I used the compass about once or twice a year so no big deal. I was checking my apps do I really need SnapPea. Can I removed it? by side I cant read Chinese. Just uninstall it. I don't know what it does. Thanks for Info... Now Skype is working now.. I guess snappie is holding it back to install skype. Greg,first of all thanks for the effort put in reviewing those phones. I have a question about Antutu scores how come that my small Sony Ericsson Live walkman has a score 5505 and some of these has max of 5600 or 6000, and comments on that? Ok, that makes sense. So my next question is - in your opinion/experience are the Chinese phones, with score in mind, fast enough to run everyday apps (Schedule, Mail, Facebook, Google maps, GPS navigations etc.) without the glitches ? Oh sure it can. Look at my previous post about Sony Xperia P Antutu comparison. They are similar in performance. This Blog is supposed to help people choose good bug free phones. Carry on reading the other articles. Yes I know, I'm trying to choose one. Thanks for super fast replies. Or maybe they forgot to print that frecuency??? BTW: Muchas gracias GREG!!! por el REVIEW!!! (thanks a lot for the Review. Of course I have this phone. How could I do the youtube video without the phone? Everything works including GPS. Only thing is that there is no compass. Can I request phone to be sent without samsung logo? Because customs would take it! Sure you can. When you check out there is a request box. You need to tell them in simple clear English. "I DO NOT want any Samsung logo on the phone." Actually they will ship the phone without any logo on it unless you request for it. first of all a great review. -I tried everything and I still can not lock on GPS satellite. - Crazy battery percentage. For example - When I turn on the device again the battery percentage can change from 70% to 14%. Charging time is also about 4 hours. I am not aware of inaccurate battery percentage on my phone so I have no idea.. As for fixing GPS, please check xda forum. This phone HDC G9300 has been rooted by a XDA member using a developer style complex method. It still can't be done using a simple script. I just received my G9300 yesterday and i must say the design and build quality is superb. A day of usage, a full charge batt from 100% to 10% drained less than 8hrs of use. Normal texting only been done. No video , games or web surfing performed. I disabled any sort of syncing , vibrate disabled, live wallpaper disabled, brightness set lowest, wifi off, gps disabled, location services disabled. Any suggestion or tip that can be done to make it last atleast a day? Use it for a week and charge it full when the battery is 10% and it will auto calibrate. You can also use a battery callibration app. You may also have a faulty battery. Where did you buy it from? Mine last 2 days with light use. Just SMS and similar to your usage. I have my Data on with whatsapp active. Today 14 hours and 75% remaining. Been a week now , and i can safely say the batt last for 1.5days for me with average usage. Battery wasnt faulty maybe it needed to 'run-in'. Thanks Greg. ps ; i got my G9300 from aliexpress as fct didnt comfirm my order. sorry for disturbin you again ...just got my g9300+ ...alls good except the vibration which I couldn't get to WorK any thing I can do to make it work in settings ???? The vibration motor should work out of the box. Maybe you got a faulty unit. Open the back cover and you can see the vibration motor next to the camera on the right side. Use a thin wire to try turning the motor head while activation vibration. Maybe it is stuck. I'am a new reader to your blog, I've been browsing the web for quite some time to find a credible blog site where Chinese made Smartphones are discussed. The reviews & videos posted by you are quite honest & unbiased. I've been nurturing the desire to buy Samsung S3 rip off/ Knock off phone, however there seems to be a lot of them. Would you help me get the best S# knock off? please. By the way I'm from Bangalore, India, so request you to advice websites shipping to this location. I also saw the review for Neo N02-m as well, it looks & performs better than the HDC S3. Can you suggest which would be the best choice based on the performance, battery & camera quality. I like the look of both the phones, so no issues on the look. Of the 2 phones which has more battery life, if I'm a moderate user (about 35 - 50 calls, text, bit of browsing,bit of games, Music 7 videos). Request you to give your expert opinion, since you have used both phones. Actually I would go for the Neo as it is a real original brand phone. Only problem is that you have to install gapps yourself. But you will not go wrong with either one. How about the battery life on the Neo, on your video it reads 1850 mAh, but on the website it says 1750 mAh. would it last over a day with moderate to high usage? Battery life is about similar to all other mtk6577 phones. No problem lasting the whole day unless you surf a lot. Without any surfing it can last up to 2 days. Same goes for all other mtk6577 phones unless you are running some battery sucking app. Anyway all the clone phones have similar battery capacity. The clone batteries are always jacked up to 2000mAh or more so it usually is fake. The zopo clone advertises 2800mAh when the zopo original says 2300mAh. So the decision is made... Neo it will be. Any Do's & Dont's, you wanna suggest me before ordering it on Aliexpress? Thanks again for your instant replies & honest suggestions. So, How long did it take for your phone to deliver? which shipping service did you opt for? Also did you use any coupons in Aliexpress, cos the price is over Rs 9,000, before shipping. So any additional taxes or charges when it lands in India? I'm actually waiting for Umi X2 for myself, the smaller screen is for my wife, she can't handle big phones. I guess i'll stick to Neo, based on Greg's advice above. You have been very helpful, so was Greg with his quick replies. Not a lot of Blog spots where you can get unbiased views. Hi greg, thanks a lot for your time wrting this review. My diubt is about the HSDPA or WCDMA frecuency, in the specs of Fastcardtech, it says only XCDMA 2100. But in my country 3G networks use 850Mhz, maybe the forgot to print the 850 Mhz frecuency?? It depends of the MTK6577??? or its another module in the cellphone. They forgot to list it. Wcdma 850 / 2100 is included. thanks Greg, btw... how about the battery? ?, can you tell us about your use experience with this?? if you put the original battery of your ORIGINAL S3, it fits?? I wrote about battery many times. Please read all the post before you ask me next time. BATTERY IS AVERAGE LIKE EVERY OTHER DUAL CORE PHONE! Original Samsung battery will not fit. GREG, u have any idea why is Waze and Google Map dont work on mine? Map is okay but failed to lock my location, and Waze doesnt work at all, ie navigation, searching locations. Try updating your Google maps and turn on all settings in GPS. Make sure that GPS works. Google maps will also work without GPS by using your WiFi and 3g to pinpoint your location. If GPS is not getting satellites then go to xda to find out how to calibrate your GPS. I will post that in my next article. Does this have FM radio? Is there anyway to buy one with the samsung logo's? When you check out just leave instructions in a small request text box. The case camera hole has to be larger than the original because the camera sticks out a bit. If you have the larger camera hole, just remove the back cover and the phone will fit nicely. Ok thanks Greg. But I don't have understand your last sentence. Do you mean take off the phone back cover and insert the phone (without phone back cover) it in the protection cover? So I want a phone to play around with trying different Android software OS's. Should I be able to do so with this? No, you can't. There isn't a whole lot of third party ROMs for you to play around with. You need a branded phone for that. I surf alot & play games alot too & the original Samsung battery won't fit in the HDC as you said, so what battery can I get if I want a higher mah with a bigger case for it?. Or should I get the Neo?. You can order extra batteries with a wall socket charger. External battery charger packs will work well too. How come that you didn't write any blog posts on new quads from Fastcardtech? Because the first quad core just arrived 2 days ago. I am using it now to get some experience with it first. Hi Greg, could you please tell me how to remove the back cover of the phone, i have one ordered and would like to know in advance so i don't wreck it when i get it? Just put your fingernail into the back cover slot and peel it off. Try going to settings / sim management and check the settings. Also go to settings / more and check the 3g and network settings. Test the other sim slot too. You can try to borrow another sim card from a friend and test. Make sure your friend uses a different telco. If all else fails then the phone is really faulty and you need to send it back for exchange. I would like to know that can I find a 4.1.1 jelly bean rom for my phone as yours... By the way my phone looking like a 4.1.1 but its not real its real version 4.0.4. Thanks for ur answer. Greg are you a live?